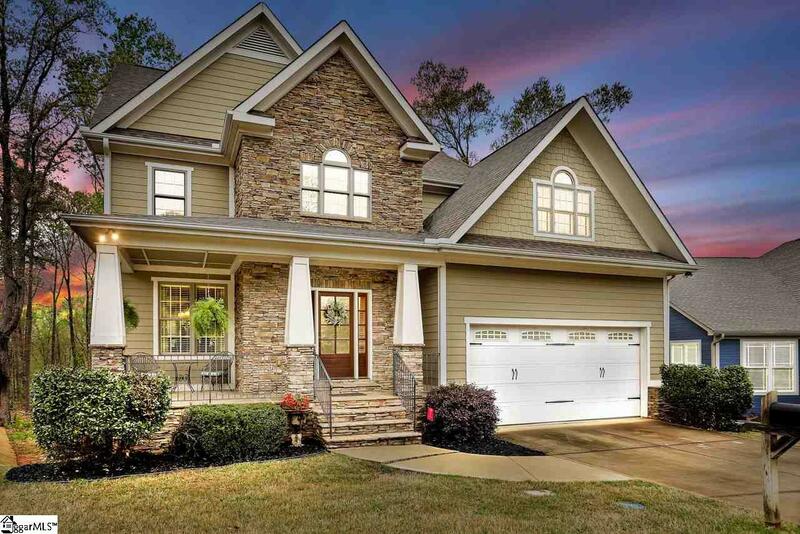 Less than ten minutes from downtown Simpsonville, this gorgeous home in Providence Square is a beautiful CUSTOM build. As you pull up to the house you will see community green space in the middle of the loop with fireplace, covered area, and lush lawn. 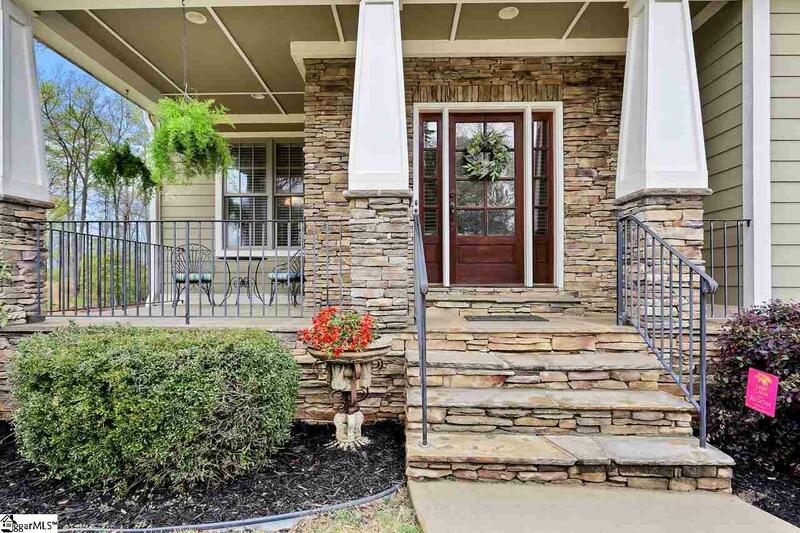 As you approach the house it's beautiful stone steps, rocking chair front porch, and lovely craftsman style door will greet you. 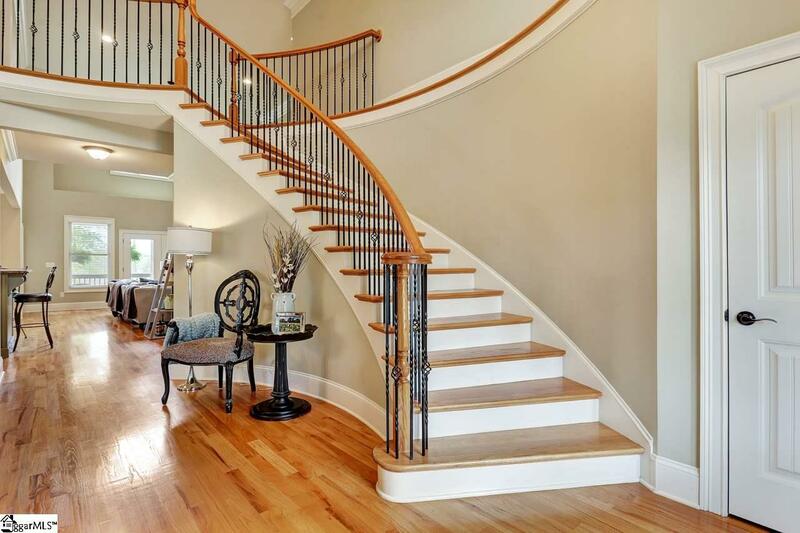 The curved staircase, coffered ceilings, and elegant detail will grab your attention. It's large living area with vaulted ceilings and lots of light will make you want to curl up on the couch, or reach for a book out of the custom built-ins. The kitchen has custom cabinetry and layout is great for hosting. You'll admire the granite countertops, stainless appliances, and plenty of storage. The kitchen table area breakfast bar, and beautiful dining room will give you plenty of options. Double doors take you to a beautiful, quiet landscape of undeveloped wooded land. The 2nd story patio is generous and cozy with entrances out of the main living area, as well as the master bedroom. 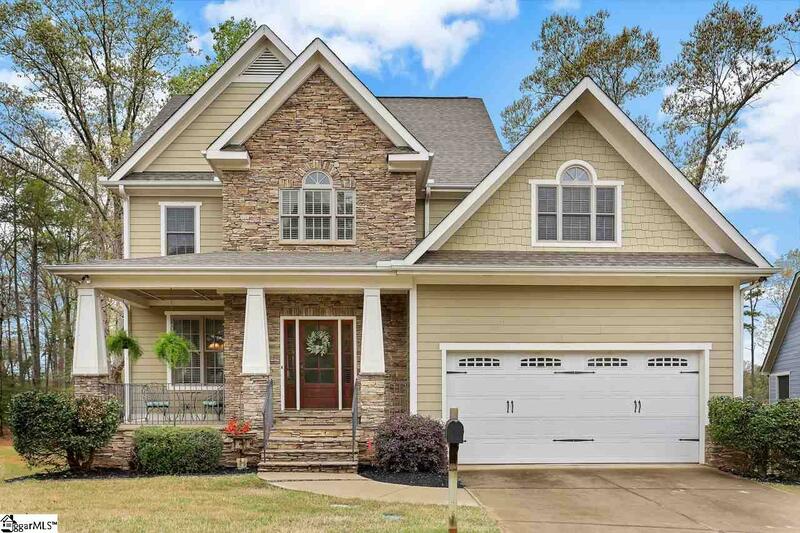 The master boasts high tray ceilings, large windows, deep closets, and attached master bath with double sinks, shower and tub. Upstairs there are three additional bedrooms, 2 full baths, and a HUGE bonus room which is great for games, movie night and quality time. Even the air hockey table can be yours! Attic space, 1600 sqft of unfinished basement (plumbed, has large windows, wine cellar, and could easily become a Mother-in-Law suite.) Laundry room, 2 car garage, great schools....you get the point. This is THE house you have been looking for. Listing provided courtesy of Greg Connell of Keller Williams Drive.